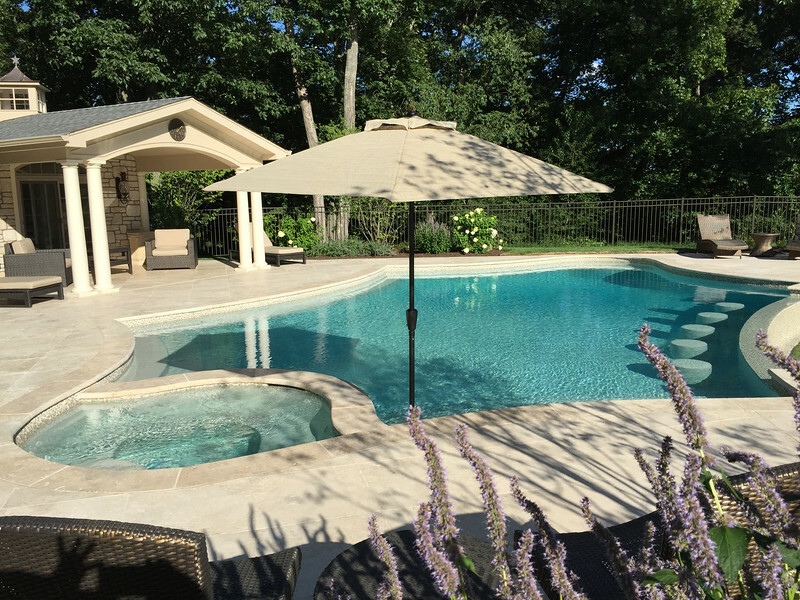 The Pool Artist | Brian T. Stratton Landscape Architect provides custom swimming pool designs for New Jersey NJ, Pennsylvania PA, New York NY, Connecticut CT, as well as Nationwide and International locations. Search for me in Google under : Luxury swimming pools, residential resort pools, commercial pools, hotel pool design, country club pool design, the pool artist brian t stratton, health club pool design, spa design, all-glass-tile pools & spas, vanishing edge swimming pools, perimeter overflow pools & spas, led pool lighting, infinity edge pools, negative edge pools, international pool design, pool architect, pool engineer, pool specialist, pool contractor, pool construction, pool company, new jersey pool installer, new jersey pool builder, new jersey pool consultant, new jersey pool architect, new jersey pool engineer, new jersey pool design, new jersey pool designer, new jersey best pool company, new jersey best pool designer, crazy pools, insane pools, luxurious pools, creative pool design, custom pool design, unique pool design, celebrity pool design, rich and famous pool design, pool fire features, pergolas, outdoor kitchens, outdoor fireplace design, fire pit design, outdoor living design, outdoor rooms, patio design, pond design, pool slide, pool stools, glass pool tile design, pool plaster, estate design, site planning and landscape architecture, licensed landscape architect, landscape lighting, outdoor lighting, pool bar, pool grotto, pool cabana design, endless pool design, natural pool design, pool fountains, pool waterfalls, water features, pool artist. pool photography, estate master planning, estate design, designer swimming pools, exclusive swimming pools, private swimming pools, private swimming pool contractor, installer, pool builder, award winning pool designs, award winning pool designer, best pool designer, luxury pool design, luxury pool designs, resort pool designs, commercial pool designer, hotel pool designer, island pool designer, worlds best pool designs, worlds best pool designer, swimming pool engineer, watershapes designer, swimming pool lighting designer, water feature designer, fountain designer, indoor swimming pool design, indoor swimming pool designer, celebrity swimming pool designer, new jersey pool consultant, new jersey pool contractor, nj pool builder. 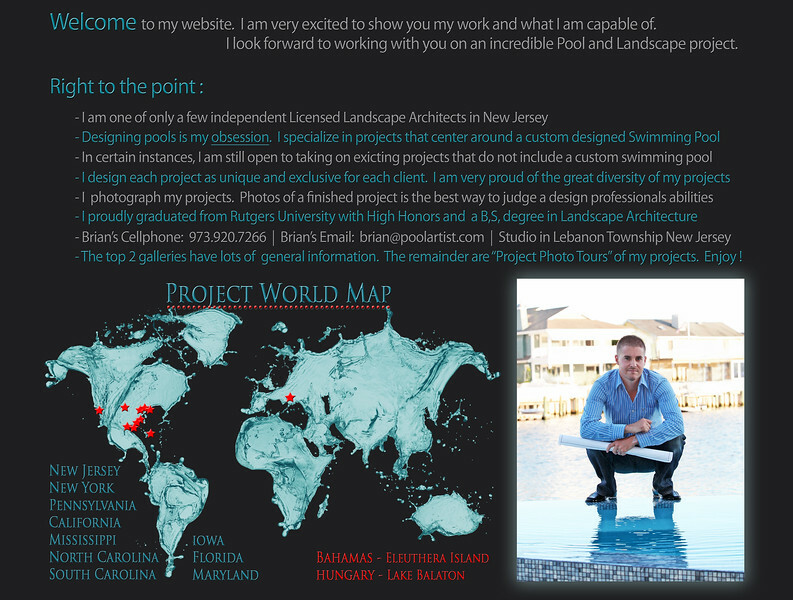 International Pool Designer: Auckland New Zealand, Portland Oregon, San Francisco California, Toronto Canada, Victoria Canada, Jackson Hole Wyoming, Valencia Spain, Stockholm Sweden, Budapest Hungary, Cartenega Columbia, Paris France, London England, Hong Kong China, Singapore, Sydney Australia, Costa Smeralda Sardinia Italy.